Forum for discussion of bugs, code, and other aspects of SoftMPU. Has anyone tested this with the "Yamaha Audician 32 plus" board? They can be had new from eBay and use the YMF718-S chip - apparently they support MIDI via the gameport and are SB-Pro 2 compatible. I finally got around to trying SoftMPU with my K6-III+ equipped with SB16 PNP (Pre-Vibra but CQM edition) and it works great with SQ3, Siplheed and SQ4 .. although my card has the hanging note bug which presents pretty early. Not a big deal tho as I have both a Yamaha Audician 32 plus and an SB AWE64 in transit. I'm not sure why I bought the AWE64 but hey, cant hurt to own one i guess. I'm also using QEMM 386 v7.04 with no issues. PS, thanks for your hard work bjt, tis brilliant being able to use my MT-32 on real HW again! So I've had great luck using SoftMPU until today when I am getting the message "Real Time Clock support not detected." Can't seem to find out what that means? Just using it with a Sound Blaster 16 card on a Compaq 486, which definitely has an RTC. Shouldn't be any TSRs that would conflict, only have CTMOUSE and DOSKEY loaded. lazygamereviews wrote: So I've had great luck using SoftMPU until today when I am getting the message "Real Time Clock support not detected." Can't seem to find out what that means? Just using it with a Sound Blaster 16 card on a Compaq 486, which definitely has an RTC. Shouldn't be any TSRs that would conflict, only have CTMOUSE and DOSKEY loaded. Interesting, I haven't heard of that problem before. Have a play with the ROM shadowing options in the BIOS. If you don't have any luck I can provide a patched version that bypasses the RTC check. Unfortunately the BIOS doesn't have any settings for ROM shadowing to adjust. I'd be happy to try a patched version! Would bypassing the RTC check affect functionality much? lazygamereviews wrote: I'd be happy to try a patched version! Would bypassing the RTC check affect functionality much? No, it will still use the RTC. Not really sure why the check is failing on your Compaq (could your copy of SoftMPU be corrupt?) but here's a patched version anyway. Loom : game and music starts...but as the music plays the instruments seems to get into a real mess. even if they're old....those old dos games are still the best!!! Loom has problems with faster machines, try disabling your L1 and/or L2 cache to slow the machine down. It doesn't require intelligent mode so will work fine without SoftMPU too. Yes, Princess Maker 2 requires IRQ 2/9. Companions of Xanth worked OK for me, but I only tested the non-talkie version. bjt wrote: Loom has problems with faster machines, try disabling your L1 and/or L2 cache to slow the machine down. It doesn't require intelligent mode so will work fine without SoftMPU too. my cache can only be disabled in Bios. every other way ill crash the whole pc. companions of Xanth : thats the version i currently got....hmmm.. when choose roland MT-32 for music it ask wich IRQ to use. as for princess maker 2....damn.. i guess i cant do anything for now. Yes, IRQ 5 should do it. Wonder if there is a speed issue there too? that disabling cache stuff DID put back LOOM working and sounding RIGHT. but something is strange. despite having set my cache to disabled....it went back at enabled. right after restarting and everything is now working....Loom and even Xanth. with cache at enabled status. Yeah, quite odd. I have a Compaq Armada 1573DM laptop I was experimenting with and actually needed this patched version when messing with DOS 6.22, but didn't need it when using Windows 98 SE's DOS files. I was making a custom startup disk from DOS 6.22's files until I ran into that issue, so I also made one from the DOS files of Win98SE as a result. Will have to investigate whether this behavior changed in Win95's DOS files or not, but I have other things to do for now. EDIT 2017/10/30: SoftMPU's RTC check bypass is no longer needed starting with Windows 95A's DOS files on Compaq laptops! Interesting. 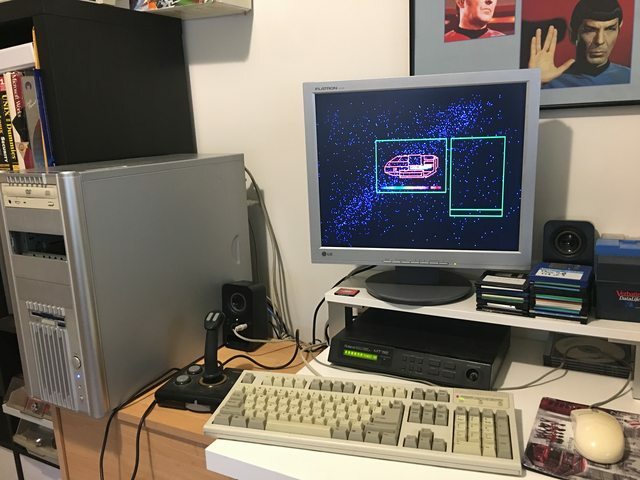 Computer in my collection that had too much work done is... Compaq Armada 1573DM! "I will take your bones, still alive and in great pain, and make them into a chair. I will call it "My Screaming Chair". Every morning I will sit in it and listen to you scream. Any questions?"